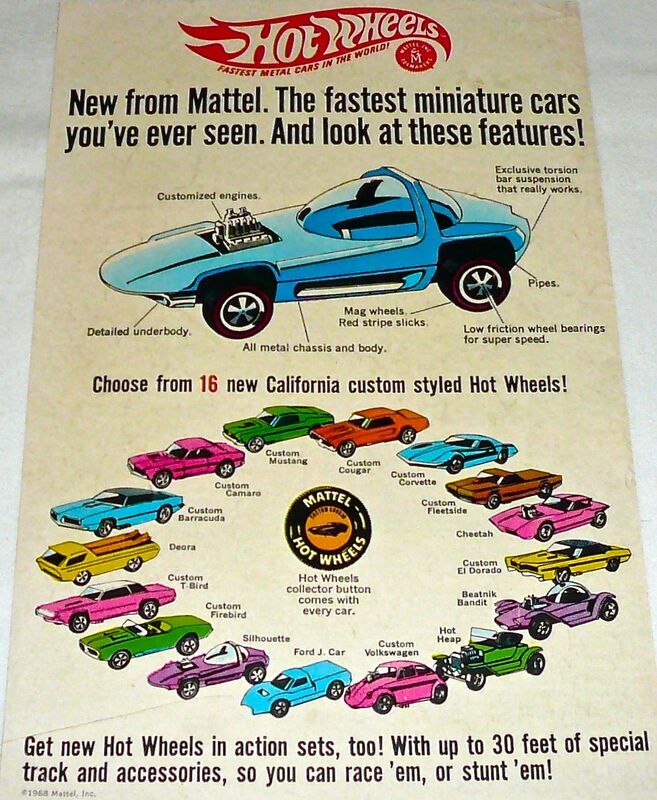 Mattel kicked off the Hot Wheels line in 1968 with 4 track offerings. 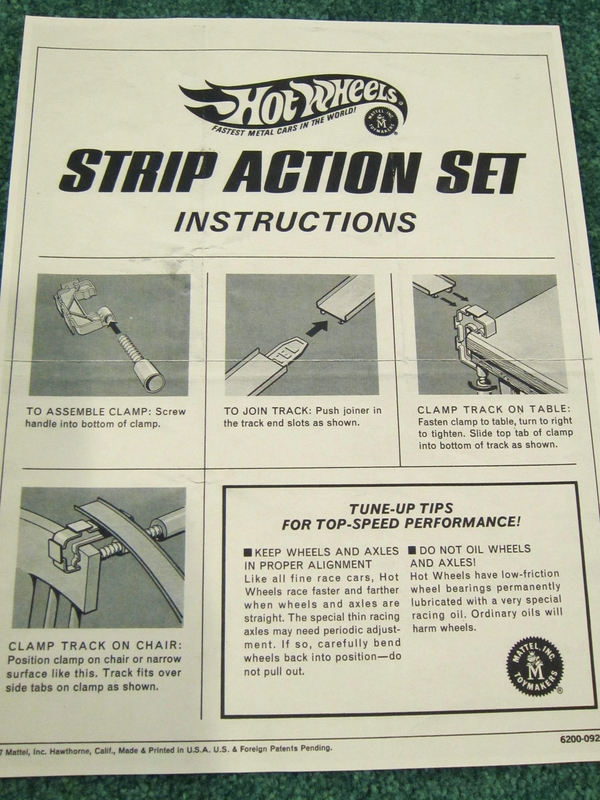 The first one that comes up in most listings is the Strip Action Set. 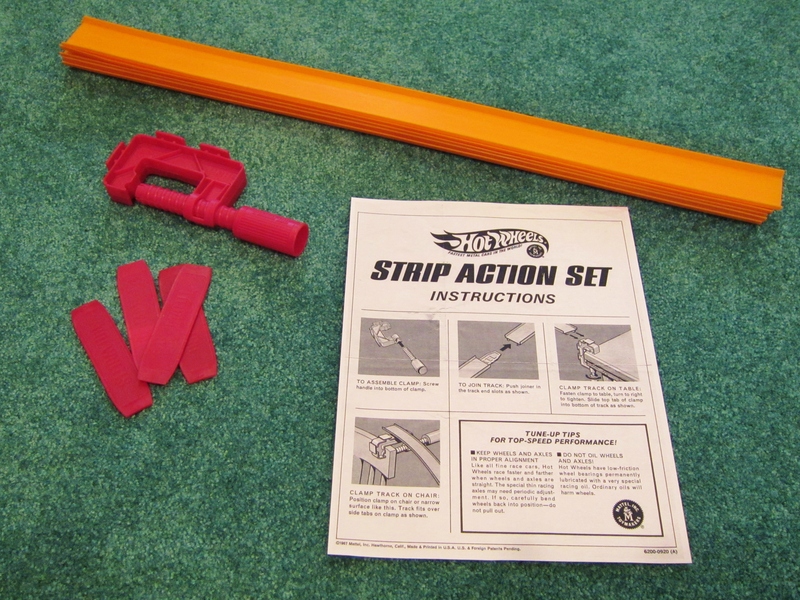 It’s the basic set with 10 feet of orange track, 5 joiners, 1 clamp, 1 Hot Wheels car with matching collector’s button, 1 instruction sheet, and 1 collector’s catalogue. Today it doesn’t look like much. But to appreciate how ground breaking this track set was you have to think back to 1967. That year the best that most of us could do was push our diecast cars along floors and around model road sets. Fact was, our cars just did not “go”. Everything changed when 1968 arrived. Suddenly play value was defined by orange track and speed. Put the new Hot Wheels cars at the start of the track, let them go and, amazingly, they would travel the full 10 feet by themselves! And it wasn’t like they would just make it to the end. They would fly off the track looking for more room to go. So, kids like myself would keep adding track and accessories just to see what these little cars could really do. From a performance point of view, there was just no comparison. These cars were fast and that became the new fun. 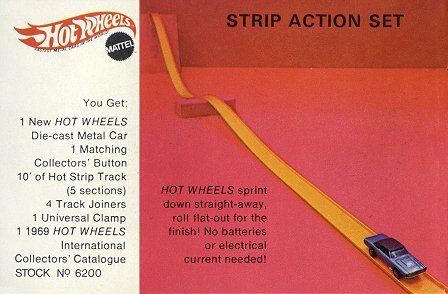 Thereafter, every penny of my allowance went solely to Hot Wheels cars and track. 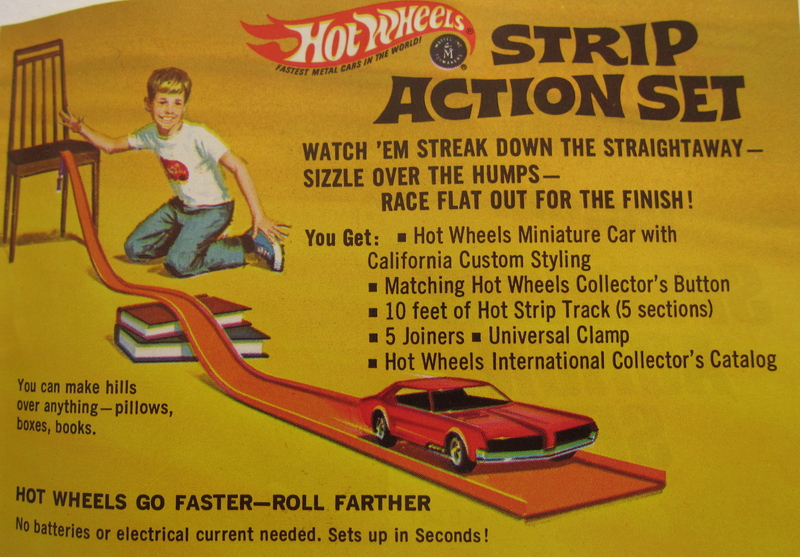 The 1968 Hot Wheels Strip Action Set. Still fast. Still fun. 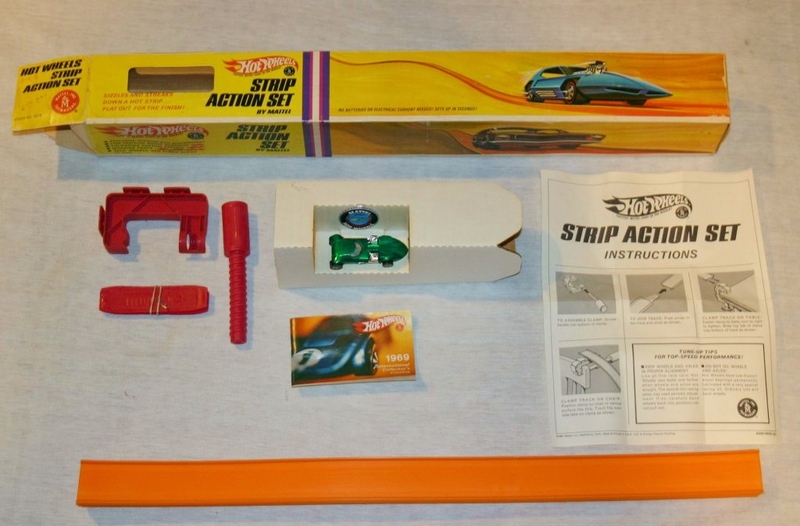 One of the earliest Strip Action Sets where the included car is pictured on the front. Courtesy eBay. Box art. Close up. Courtesy eBay. Check out the car. At the end and still going strong. Courtesy eBay. More box art. Courtesy eBay. 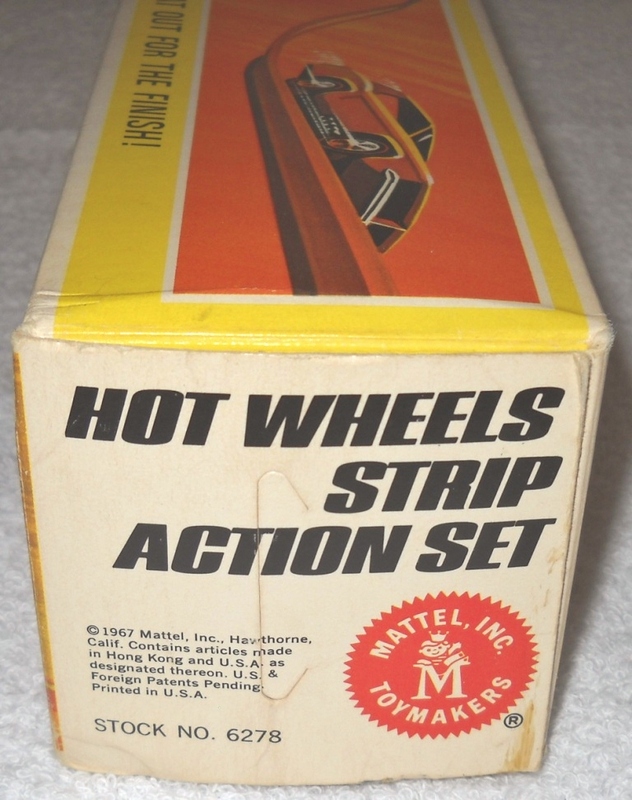 This web blog will document most of the track sets produced by Mattel in the first four years of Hot Wheels production. 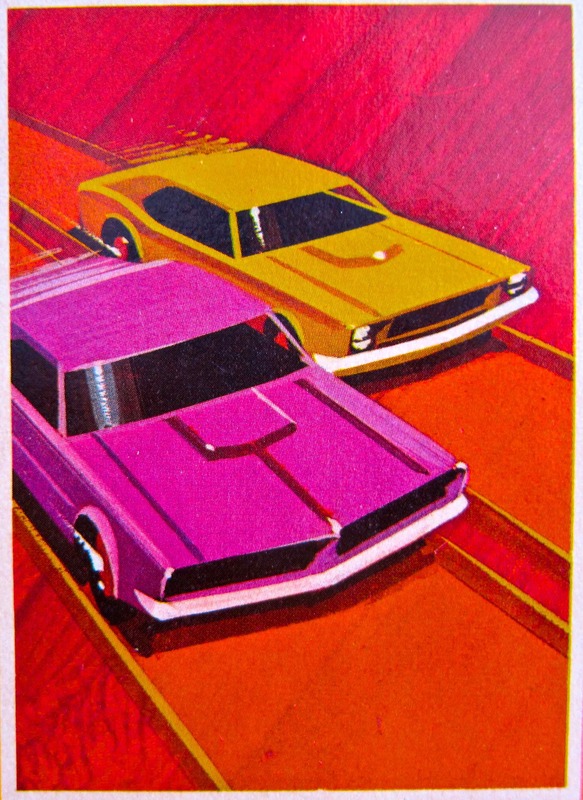 I was a kid during these inaugural years and have fond memories of putting together the tracks and running my Hot Wheels cars for hours on end. 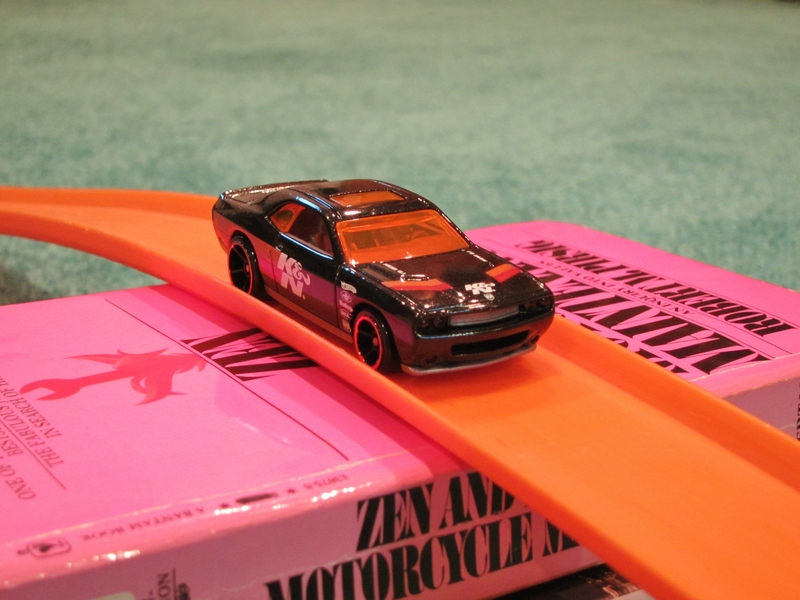 Summer was my time for unscheduled activities (the rest of the year was filled with sports and school) so I would get together with friends and race Hot Wheels. 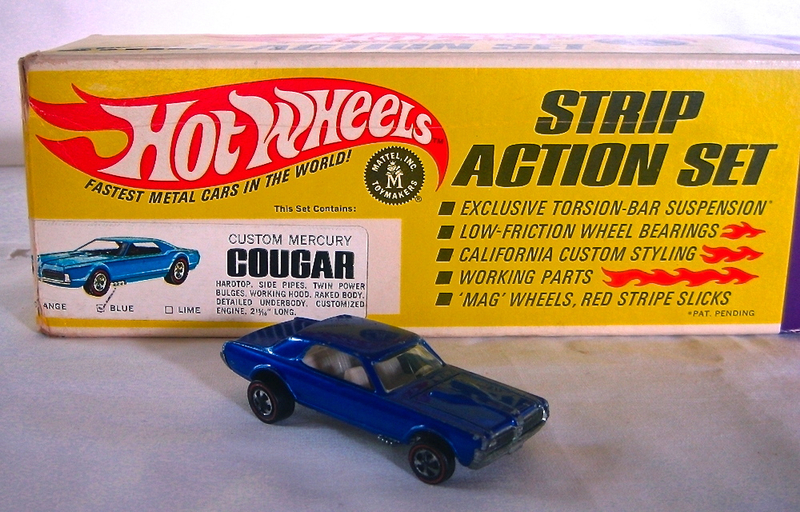 I still recall the 1968 Hot Wheels Drag Set that we ran outdoors for an entire sun filled afternoon. 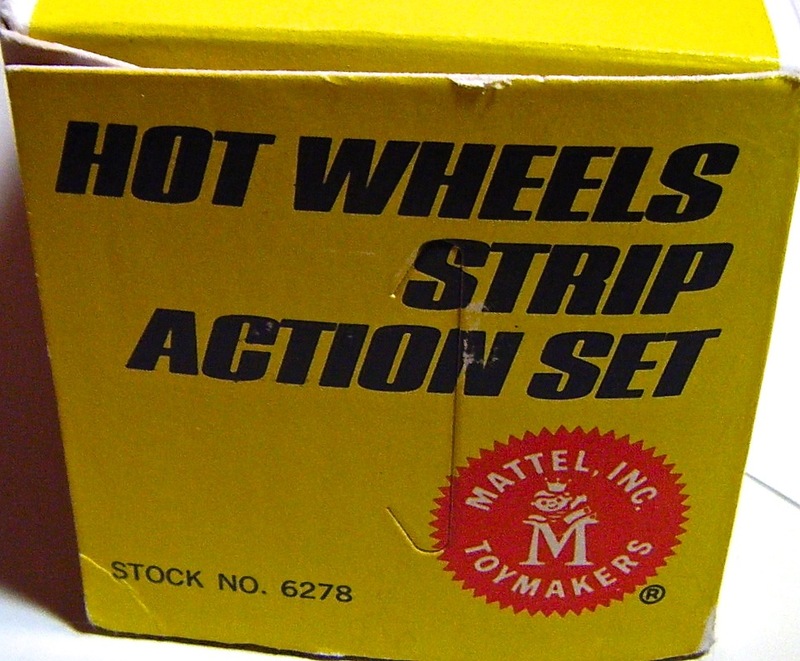 A couple of years ago, I sold off most of my “don’t touch” vintage Hot Wheels car collection and replaced them with “touch all you want” Hot Wheels track sets from 1968 to 1971. I use late model Hot Wheels now, mainly because it’s more cost practical, and the new cars do run well. I especially like the Faster Than Ever vehicles because they perform nicely on the Super Charger and Rod Runner race sets. The other advantage of new cars is you don’t mind the crashes. 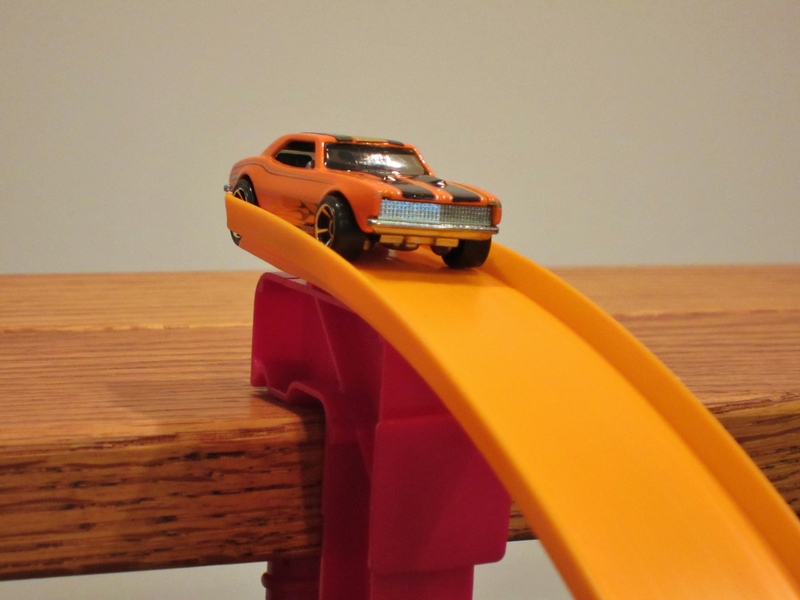 When I set up a recently purchased 1970 Hot Wheels Rod Runner Race Set I was surprised at all the crashes I was having. I do not remember this being an issue when I had this track as a kid. But, then again, I’ve noticed that the kids who come over to put their cars on these sets really enjoy the crashes. Maybe I did too when I was young. Fortunately, for my adult tastes, the tracks can be adjusted to minimize crashes and maximize racing. 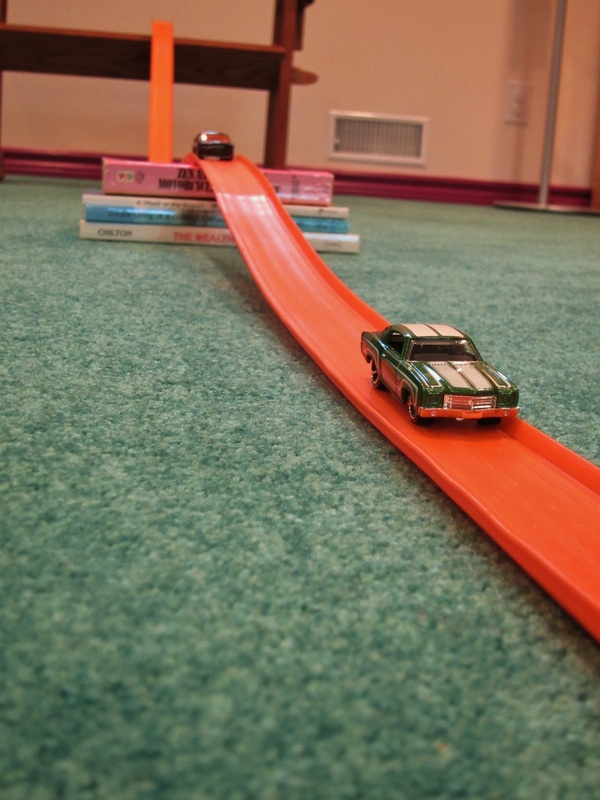 So, as time permits, I hope to show you pictures and videos of old school, functioning Hot Wheels race track sets. They are still fast, still fun.